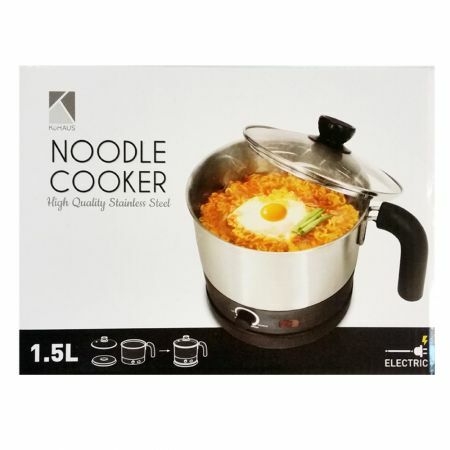 - Dual usage for both cooking noodles or simply boiling warer. - One-body stainless steel heater tray to get higher heating efficiency and easier cleaning. - Tempered glass (see-through) lid allows you to manage the cooking process. - Designed to turn 360 for convenient use for small & large spaces.